A lack of resources, poor inter-agency cooperation and insufficient enforcement authority are to blame for the failure to ensure environmental protection standards, officials told the press Sunday. The EPA was weakened during the outgoing administration of President Abdulla Yameen, he said, referring to the transfer of its powers to authorise projects on resorts to the tourism ministry. “This is the biggest challenge. It is a fragmented mandate. For example, everything in the oceans are under the fisheries ministry. Now we don’t have a say about anything that happens within the borders of a tourism development or a resort,” he said. The EPA’s powers to evaluate environmental impact assessments and authorise projects such as land reclamation on resort islands were transferred through amendments brought to the tourism law in April 2015. 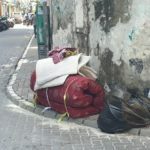 Mohamed Zahir, a director at the environment ministry, concurred that the EPA’s incomplete mandate poses challenges in enforcement. “There are conflicts within the laws. There are big conflicts in laws established under one ministry to the laws supervised by other ministries. These are all challenges. We are trying to navigate through them,” he said. 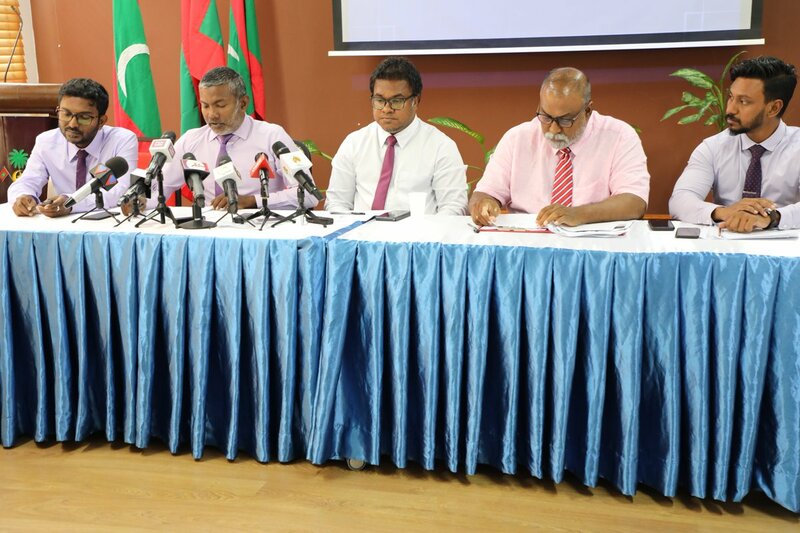 The rare press conference with senior officials from both the EPA and environment ministry was called after criticism over the failure to take action over the illegal removal of trees on several islands. The EPA, which functions as a quasi-independent body under the environment ministry, announced last week it was investigating the removal of trees and coconut palms for landscaping new resorts. 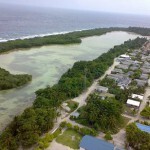 Zahir said vegetation was cleared from eight inhabited islands and two uninhabited islands. The EPA worked with the customs last week to stop the export of palm trees, he noted. 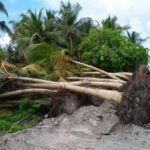 The trees were allegedly uprooted from Maafaru island in Noonu atoll for export to Abu Dhabi. “We were investigating even before the news got out on social media. We work with customs intelligence. At that time they tried to load about 40 coconut palms to the boat. But before they could export them it was stopped. No trees were exported out of the country as a result,” he said. Asked why the EPA failed to act when the housing ministry breached environmental regulations during the development of an asphalt ring road in the capital, Naeem said that ministry was asked to stop the work on several occasions. “This is one of the problems with enforcement, we don’t have the authority we need,” Naeem said. 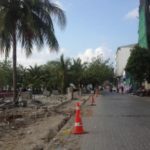 Nearly a hundred trees on the outskirts of Malé were cut down to expand the ring road for the opening of the Sinamalé Bridge. 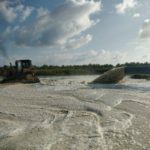 The EPA remained silent despite the ministry’s refusal to conduct the mandatory environmental impact assessment. Last month, the EPA slapped the ministry with a fine of MVR191,250 (US$12,400) for uprooting the trees. The ministry was also penalised for pumping out groundwater without the EPA’s permission. It was the fourth fine imposed on the ministry after the incumbent president’s defeat in the September 23 election.